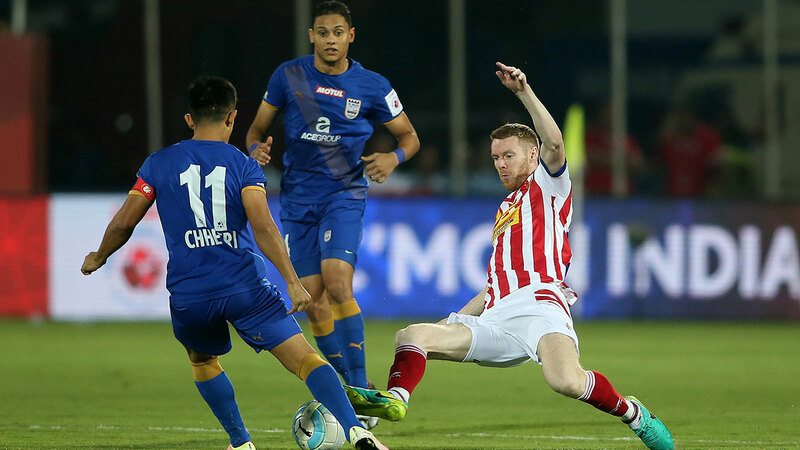 Mumbai City FC failed to overturn the one goal deficit as they were held to a goalless draw by Atletico de Kolkata at the Mumbai Football Arena, Mumbai on Tuesday in the second leg of the Hero Indian Super League semi-final. Sunil Chhetri and Eugeneson Lyngdoh missed their chances to get the crucial goal for Mumbai, especially the former missing a one-on-one chance. Atletico de Kolkata were down to ten men in the 43rd minute after Robert was shown a second yellow card but the 2014 champions managed held their heads high to progress to the grand finale. The match saw an ugly ending though as after the final whistle players from both the teams were involved in a scuffle and some nasty fists and kicks were seen. Thiago Cunha and Juan Belencoso were shown red cards for their part.